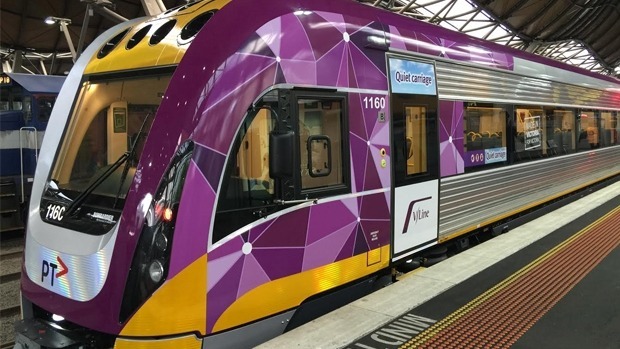 The Victorian Government has committed to repairs, new services, brand new lines, and upgrades to the interior of existing trains. These works have been overdue for many years, and, while the current focus is on the Melbourne Metro Level Crossing Removals and the new Metro Rail Tunnel, regional areas are definitely not being forgotten. Regional areas understandably need a lot more work than the Melbourne Metro area, as the same services and trains have been overused in their respective areas for many years. Unfortunately, even though these works and upgrades have been promised, a lot of their start dates have not been confirmed yet. However with the amount of infrastructure work currently being undertaken across Victoria, it could be safely assumed quite a few of these projects will begin before the year is out. A Bendigo and Echuca upgrade to the tune of $91 million. Which will include faster trains, and more services including a daily added service to Echuca from Melbourne. Gippsland line promise of $435 million upgrade. Which will include a project office and will create 400+ jobs. The second stage of the Ballarat line upgrade. With $39 million promised, improving lines in Maryborough, Ararat and Ballarat. A new rail project along the surf coast. Which will invest up to $110 million in the first stage, leaving the project open to not only one day build a line to Torquay, but also to upgrade Waurn Ponds and South Geelong duplication of tracks in future. While these upgrades have been lauded as ‘election upgrades’ by some, it shows the long-term commitment of the Victorian Government in the infrastructure sector. Some of the upgrades have been also promised to be funded by the Federal Government with the revenue that remains leftover after the sale of the Port of Melbourne. However with a heavily NSW-focused budget being announced on Wednesday, there is a divide between what the Victorian Government was expecting and what the Federal Government are delivering. This may affect the timing of these projects. After multiple crashes and near-misses, the regional upgrades will have a heavy construction focus, with the train tracks being completely renewed in a few areas. This will help with expansion and contraction on days of extreme heat or cold, allowing for fewer delays and more reliability. These projects across Melbourne and regional Victoria are expected to generate thousands of jobs across multiple sectors. It will also encourage the spread of population which has been concentrated to the inner Melbourne area for a long period of time, and will encourage the development of new businesses and housing in these areas with more built up rail services. These upgrades come after years of neglect from previous state and federal governments. Melbourne and wider Victoria’s population is booming, and demand for rail and efficient public transport is growing rapidly alongside it. These works will ensure future generations can enjoy the trains for years to come.